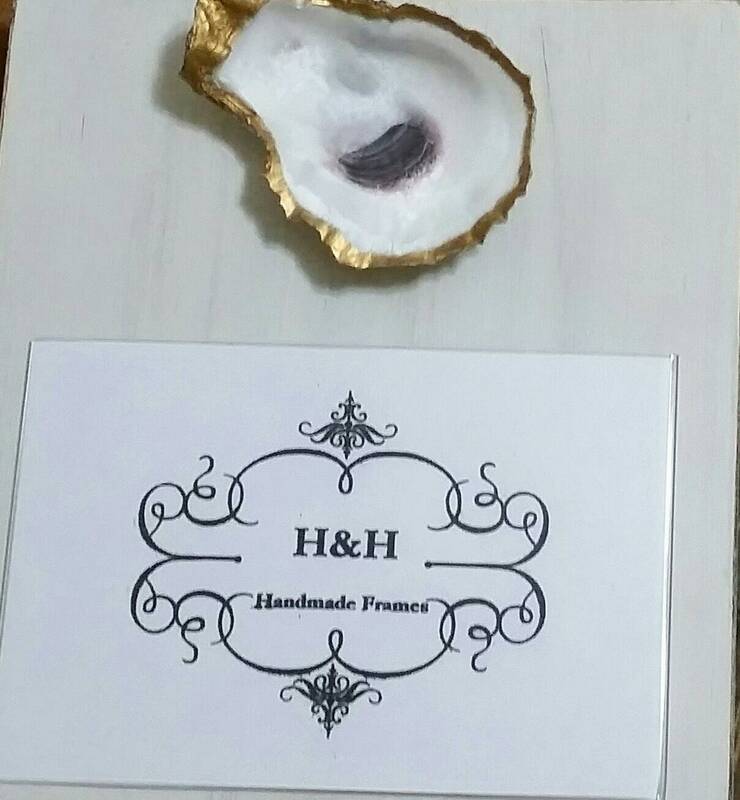 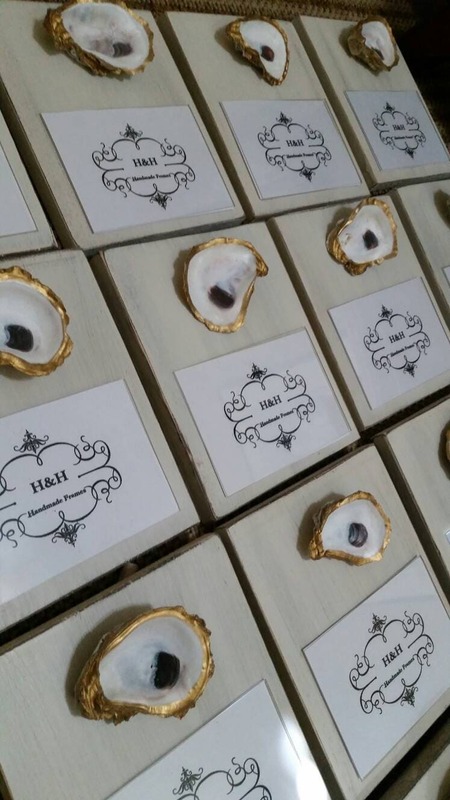 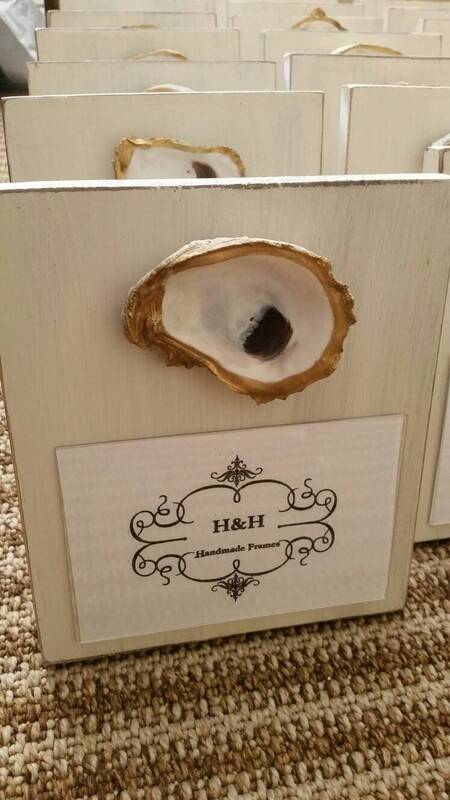 Oyster With Gold Leaf on Handmade Wood Frame - Painted and Distressed Old White - Coastal - Gift - Large Quantities - For 4x6 Photo. 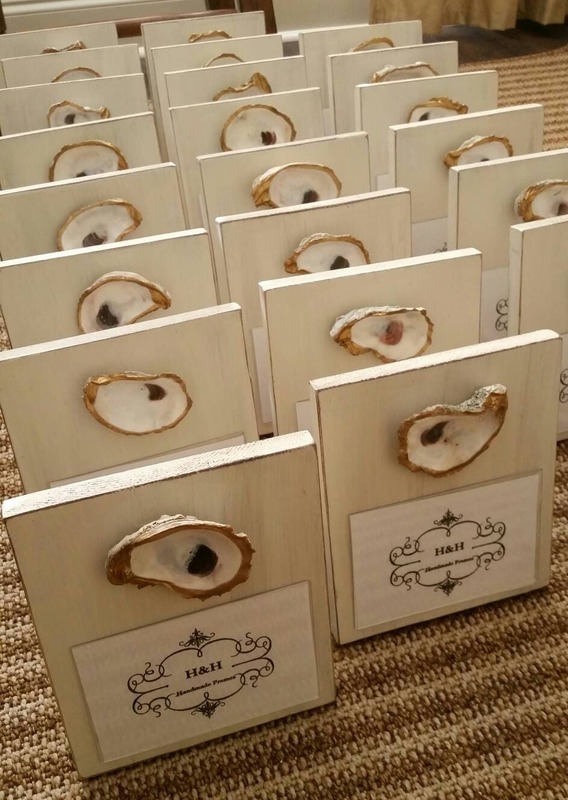 Need a large quantity for a family trip or reunion or company function just message us and request a custom listing. 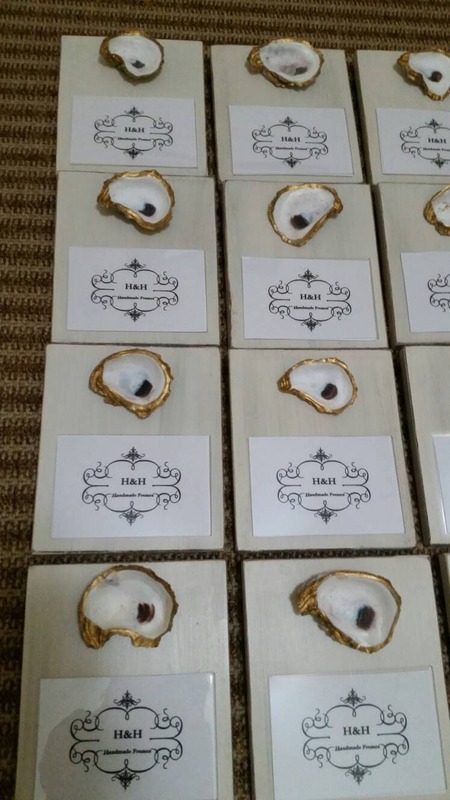 With a real oyster shell that has been accented with gold leaf along its sides and sealed.